Evidence derived from direct measurements in the microcirculation and in blood samples, experimental results obtained by use of scavengers, and observations on isolated cells of hypertensives indicate an alteration in oxygen metabolism and overproduction of biologically active oxygen species in hypertension. Reactive oxygen species (ROS) (superoxide anion (O2-), hydrogen peroxide (H2O2), nitric oxide (NO), carbon monoxide (CO) and their derivatives) serve to regulate vascular functions but may also be toxic. In the mesentery and skeletal muscle microcirculation, reduction of nitroblue tetrazolium and fluorescent labeling of hydroethidine (superoxide dependent probes) show enhanced levels of ROS in the endothelium not only in arte-rioles, but also in capillaries and especially in venules. The rise of the NBT reduction in venules exceeds any enhancement on the arteriolar side in all hypertensive models investigated so far (Figure 2). Superoxide anion, a primary radical product generated by one electron donation to molecular oxygen, is generated through xanthine oxidase and nicotinamide adenine dinu-cleotide/nicotinamide adenine dinucleotide phosphate (NADH/NADPH) oxidase. The superoxide anion has the ability to react with NO and with guanylate cyclase-dependent vasorelaxation, may activate platelets, leukocytes, and endothelial cells. After cancellation of NO-mediated relaxation and elevation of tone in the hypertensive rats, superoxide generation promotes overexpression of NO synthase mRNA. Superoxide anion inhibits soluble guanylate cyclase, the major target of NO. Chronic overproduction of superoxide and related ROS triggers alterations in the expression of genes encoding proteins that control the tissue inflammatory responses, such as endothelial adhesion molecules (intracellular adhesion molecule-1 (ICAM-1), and P- and E-selectins) as well as superoxide dismutase, NO synthase and heme oxygenase-1. Nitric oxide depression is by itself a pro-inflammatory stimulator (Kubes et al., 1991) and a driving mechanism for superoxide mediated injury in hypertensives. 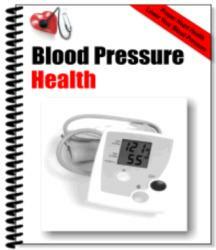 The significance of the ROS is further highlighted by the fact that the enhanced peroxide production is detectable before the blood pressure is elevated. NADP/NADPH oxidase and xanthine oxidase in neu-trophils, the monocyte/macrophage system and vascular endothelial cells, smooth muscle cells, as well as parenchy-mal cells, are involved in superoxide generation in vivo. Recent evidence derived from immuno-histochemistry indicates that both enzymes are expressed in almost all cells of the microcirculation. The population of superoxidegenerating neutrophils in the circulation is greater in SHR than in WKY rats over their entire lifetime. The dehydrogenase (XD) oxidizes hypoxanthine to yield uric acid and is coupled with a reduction of NAD into NADH. Once the enzyme is converted to the oxidase form (XO), the same reaction utilizes molecular oxygen as an electron acceptor and serves as a superoxide-generating system. Endothelial cells in microvessels, but less those in larger vessels, serve as a major source of the XD/XO system. In the mesentery, where the vasculature constitutes a major source of the enzyme, both XD + XO and XO activities are elevated in SHR compared to WKY rats (Suzuki et al., 1998). In addition to the role of NADH oxidase in regulation of proliferative responses in vascular smooth muscle cells, this enzyme may also be a major player in the hypertensive syndrome. Phox22, a subunit necessary for the enzyme activity, exhibits a distinct feature that is characteristic of the superoxide production from phagocytic NADPH oxidase. In vascular smooth muscle cells, this enzyme can increase superoxide generation in response to angiotensin II and regulate vascular hypertrophy. sives. Cytochrome P450-derived adrenocortical hormones such as corticosterone and aldosterone play a role in the formation of hypertensive states. The metabolism of arachi-donic acid by cytochrome P450 epoxygenases leads to the formation of biologically active eicosanoids for regulation of local inflammatory responses, such as epoxye-icosatrienoic acids (EETs), dihydroxyeicosatrienoic acids (DHETs), and hydroxyeicosatetraenoic acids (HETEs). Heme oxygenase may also serve as a modulator of vascular tone and smooth muscle cell hypertrophy due to the biological actions of CO, a vasorelaxing mediator (Imai et al., 2001). The potency of CO is less than that of NO. CO modestly activates cyclase when local NO levels are low. The enhanced oxidative stress in hypertensives may also be due to the suppression of scavenger mechanisms for oxygen radicals. In the SHR, mRNA levels and enzyme activity of superoxide dismutase and catalase are reduced in most but not all tissues. 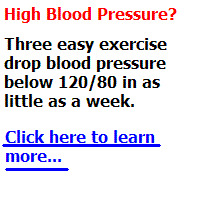 Treatment with superoxide dismutase or analogues serves in part to control blood pressure. Treatment is hampered by the limited ability to transport current scavenging agents, such as superoxide dismutase, to relevant sites in the microcirculation, including the endothelial or smooth muscle cells. The evidence for enhanced ROS formation supports the hypothesis that the SHR may suffer from a genetic shift of the glycolytic metabolism into oxidative metabolism, in line with the close linkage of hypertension with insulin resistance in this model.